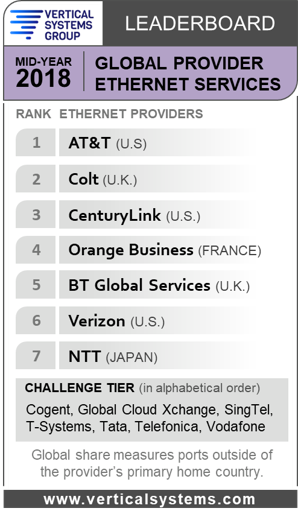 AT&T now has the distinction of being the first U.S. company to top Vertical Systems Group’s Global Provider Ethernet Leaderboard, earning the spot on the researcher’s midyear 2018 list. Orange Business Services, which topped the year-end 2017 Leaderboard, dropped to No. 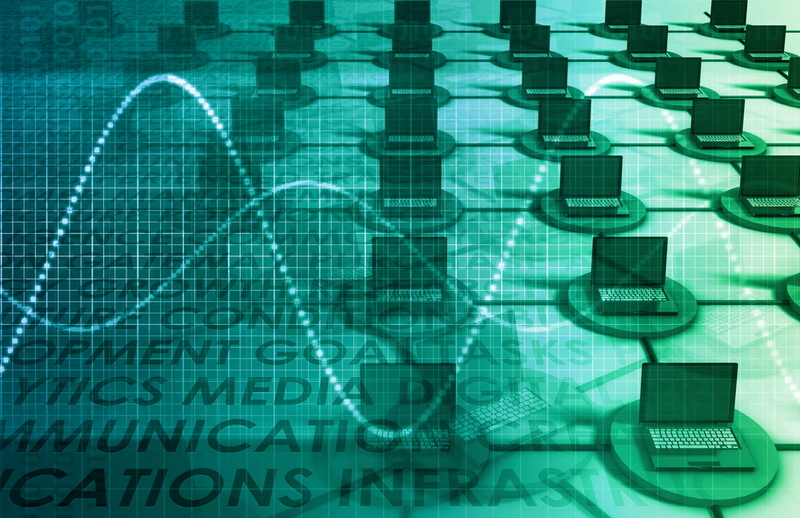 4 due to slowing growth in its global Ethernet business. It’s held the top spot in every year-end global provider leaderboard since 2009. AT&T was No. 2 on the year-end list. Colt ranked second on the midyear list, followed by CenturyLink, which moved from fourth to third — boosted by Level 3’s assets (which it acquired last year) outside the United States. BT Global Services was fifth, followed by Verizon and NTT. 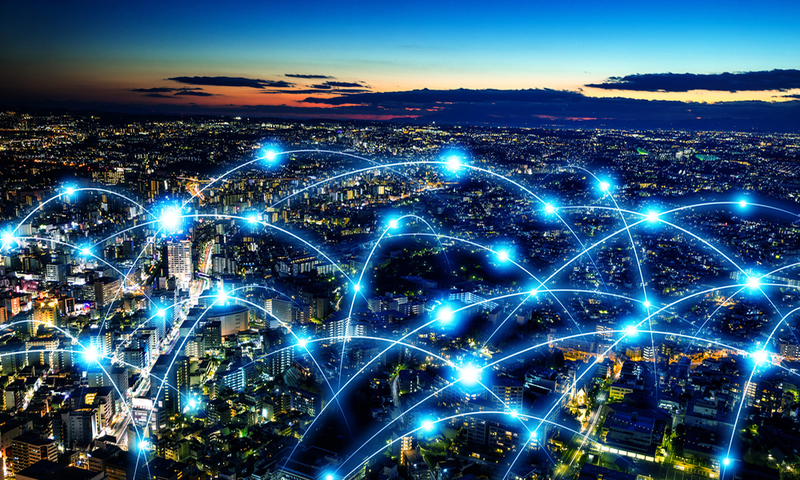 VSG calls its leaderboard the industry’s benchmark for multinational Ethernet network market presence, ranking companies that hold a 4 percent or higher share of billable retail ports at sites outside of their respective home countries. The “challenge” tier of global providers includes companies with 2-4 percent share of the market. Cogent, Global Cloud Xchange, SingTel, T-Systems, Tata Communications, Telefonica Worldwide and Vodafone are in this tier. 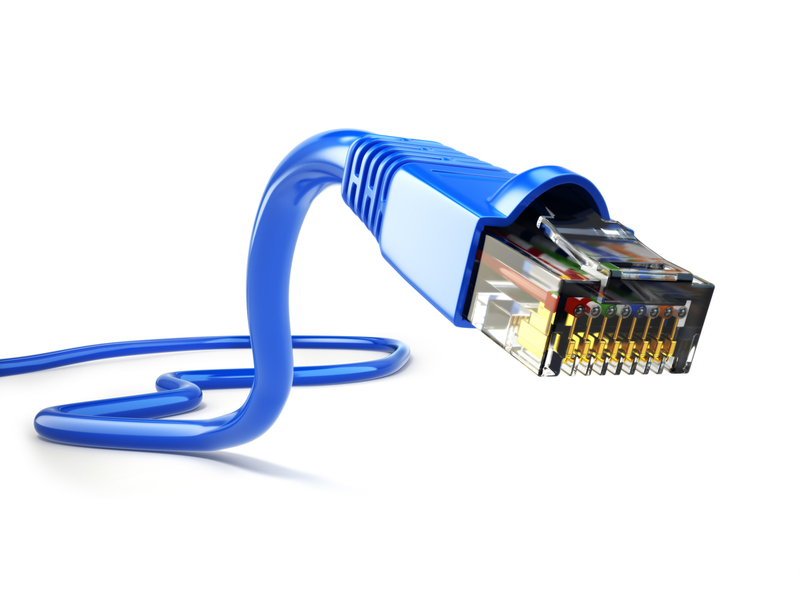 Metro Ethernet Forum certification is recognized as a market differentiator for Ethernet providers. Providers on the Leaderboard that have received MEF CE 2.0 certification as of this month are: AT&T, Colt, CenturyLink and Verizon; and on the challenge tier: Global Cloud Xchange, SingTel, T-Systems, Tata, Telefonica and Vodafone.